Midwest snowboard phenom Ryan Paul signs with RPRT manager Ken Perkins. Ryan is coming off a winning streak taking first in both the WCI and Volcom PBJ contests. Ryan is part of the Burton snow program and will be looking to solidify his name even more on the competitive circuit during the 2010-2011 season, as well as film more. Pat Milbery will be hosting 7 dates at Camp Woodward this summer starting June 19th and going through the end of July. Along with coaching summer snowboard camp, Pat will be giving away a heap of gear and having fun with the campers. To learn more please follow this LINK. 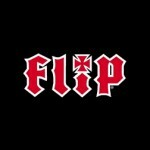 Flip Skateboards won both “Video of the Year” and “Team of the Year” at the Transworld Skateboarding Awards last night. Huge congrats go out to Jeremy Fox, Ian Deacon and RPRT clients Geoff Rowley, BARON, David Gonzalez, Louie Lopez, Curren Caples, Mark Appleyard and the rest of the crew. Also congrats go out to the Deathwish/Baker Boys crew for the Reader’s Choice win by Lizard King! Curren Caples invited to skate in X Games! Curren Caples will be the youngest skater, at 14, to be included in this year’s X Games Superpark for skating. Curren will go head-to-head with such legends as Rune Glifberg and Andy McDonald. We look forward to seeing Curren on the podium! RPRT just entered the foray into professional motocross by adding 2x X Games gold medal Supercross winner, Josh Hansen. Josh is the son of former world champion Donnie Hansen and is certainly following in his footsteps on his charge for a world title. Josh is also seen on episodes of the last season of MTV’s hit show, The Hills. Activision’s next version of Tony Hawk Pro Skater video game will feature a track by RPRT client Baron. 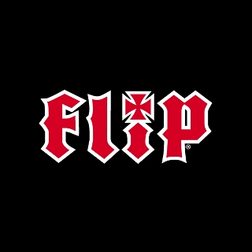 “The End of the Beginning” (featuring Black Mountain) was originally written for the Extremely Sorry score by Flip Skateboards. The game also features two RPRT pro skaters, David Gonzales and Geoff Rowley. You are currently browsing the rprt: talent management, pr/marketing, events and branding blog archives for June, 2010.